Corian cut out of the shape of Missouri. 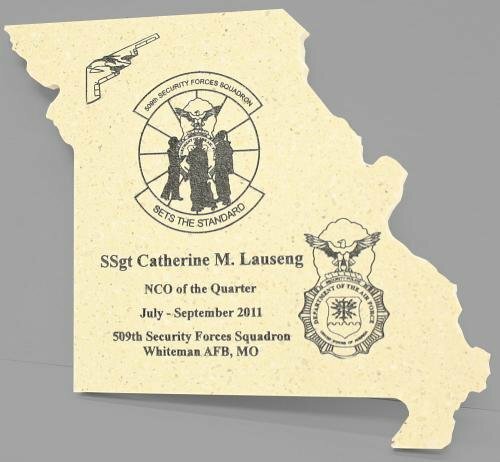 This item can be etched with your choose of logo(s) and custom message. logo(s) you would like to use. Engraving is included in the price. information or questions we will E-Mail you.